Every Miamian knows that even though August is the most brutal of the summer months, it’s the best month to treat yourself. August is the one magical month a year where the Greater Miami Conventions and Visitors Bureau’s Miami Spa Month and Miami Spice overlap. Spend the best of days being pampered and indulge on a fantastic 3 course lunch or dinner all in the same place for under $200. 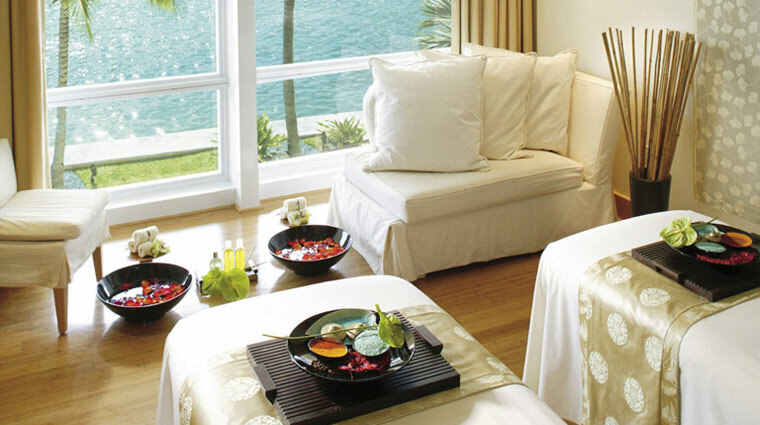 Throughout Miami you’ll find over 100 treatments available during Miami Spa Month. For a low as $109 you can spend the day being pampered and in full relaxation mode with one of their special treatments and full access to the spa’s amenities. While onsite take advantage of a Miami Spice lunch ($23) or dinner ($39) deal for the full experience. During Miami Spice you’ll find 240+ restaurant options, and as luck would have it — many of them are located within steps of the best Miami Spa Month options. Suitable for all skin types, this facial brightens and firms the delicate facial skin. Includes a deep brush cleanse followed by a brightening mask and rose quartz massage for a radiant look. Steam and extractions available for an additional $25. Everything Chef Diego Oka does is our favorite but we’re ordering the smoked tiradito salad made with the fish of the day, smoked avocado leche de tigre, jerusalem artichokes, heirloom tomatoes, beets to start. The Chifero, a steamed fish fillet with all the chinese/peruvian flavors, vegetables, shiitake mushroom, katsubushi and white chaufa rice is next followed by the lucuma flan. A gentle Swedish style massage done with a detox oil to help aid the body in the elimination of stored toxins. Make sure to take a full day of it, all treatments include access to the Thermal Experience - a nine suite hot and cold circuit that includes a Finnish Sauna, Herbal Laconium, Crystal Steam Room, Igloo and more. The Herbal Laconium is our favorite. Watermelon salad, roasted chicken with fingerling potatoes, preserved lemon, chicken jus, and for dessert Valrhona chocolate bread pudding with fudge sauce, champagne sorbet. Transport your body to the South Seas with this tropical massage using your choice of coconut, guava, or mango body butter. This unique massage hydrates the body and calms the mind. 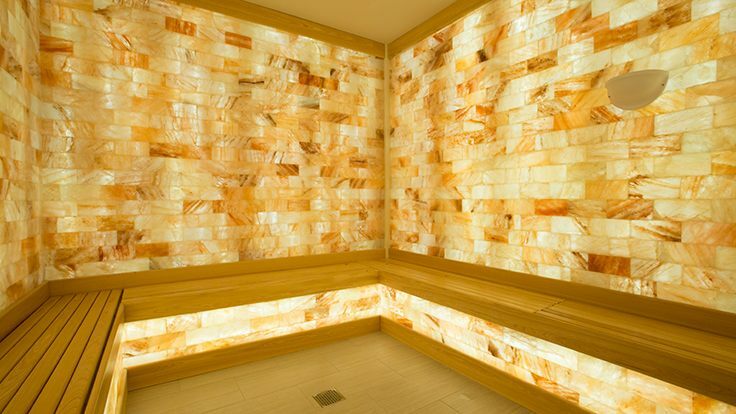 But first, stop in the Himalayan salt room before your treatment. 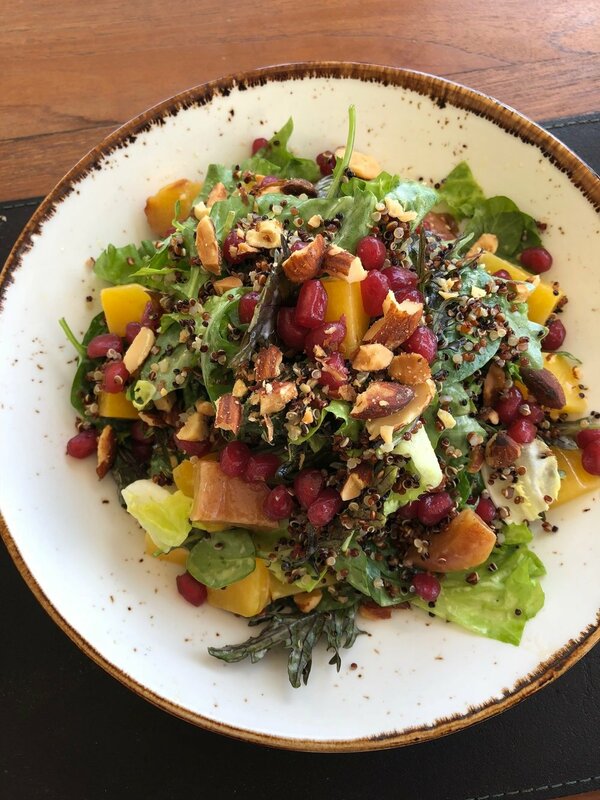 Start with the peach salad made with local lettuces, mango, melon, quinoa, pomegranate, smoked almonds, orange-ginger dressing, move on to the campanelle with summer vegetables, olive oil, kale pesto, parmesan, and save room for dessert and order the strawberry cheesecake. Treat yourself to a pedicure, Rescue My Hair Treatment plus back relief massage and Hammam Bath. The perfect grooming package includes a sybaritic soak in an aroma filled tub, refining pedicure with polish application and hair restoring treatment plus an indispensable back massage for pain relief. Fabulous Foursome Hammam Bath - Includes fruit tray and body scrub and cucumbers for the eyes. Also includes addition of aromatic herbal essence to the bath water and aromatic salts to increase relaxation and well – being. Bath is timed at 35 minutes. Fabulous Foursome Back Relief Massage - 25 minute firm to deep massage of the upper back, shoulders and lower back. Fabulous Foursome Pedicure - Pedicure includes filing and clipping of nails as needed. Foot soak in jet tub with aromatic salts and use of foot scrub and file on rough dry skin. Application of rich shea butter to massage feet and calves. Fabulous Foursome Rescue My Hair - Hair repair treatment which makes use of a hydrating ampule applied to the hair to soften and repair damage.Includes a scalp massage and wrap with moist towel then application of heat to activate product and increase results. It’s a tough call to make with some many great dining options at Fontainebleau Miami Beach. 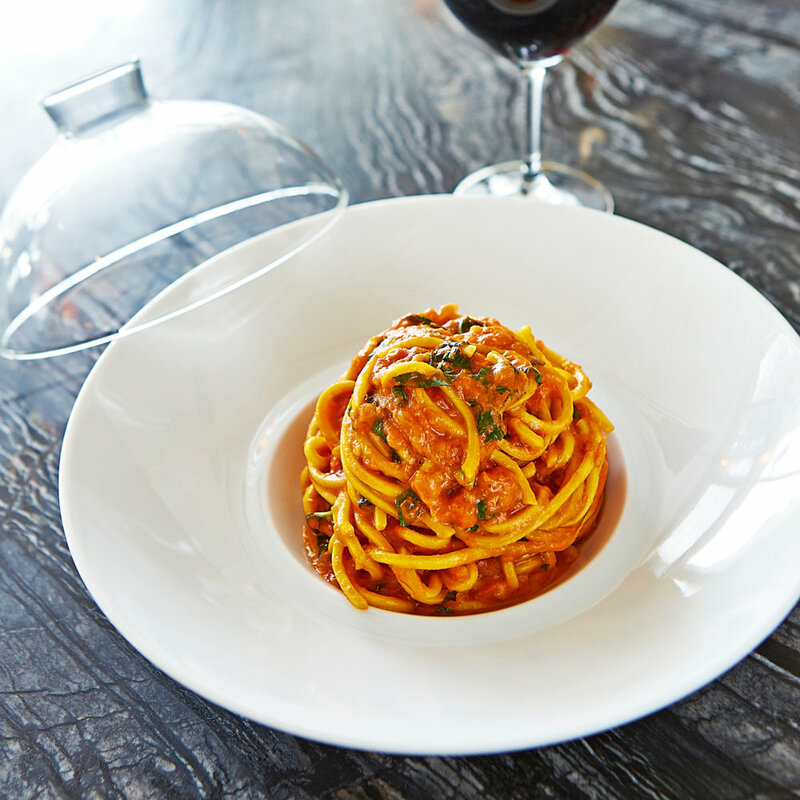 Dinner at Scarpetta is always a treat. Start with the creamy polenta made with a fricassée of truffled mushrooms, then order the spaghetti — it’s buttery and melts in your mouth. End the meal with the espresso tartufo with hazelnut, almond sponge, salty chocolate crumb. Check out the full the list of participating spas and restaurants to plan your perfect day!